| MOTIVATED VENDORS……….DOWN SIZING INTO RETIREMENT!!! UNDER CONTRACT BY CLARE AND TERRY CANTWELL!! MOTIVATED VENDORS..........DOWN SIZING INTO RETIREMENT!!! YOUR VERY OWN FIVE STAR OASIS!!! 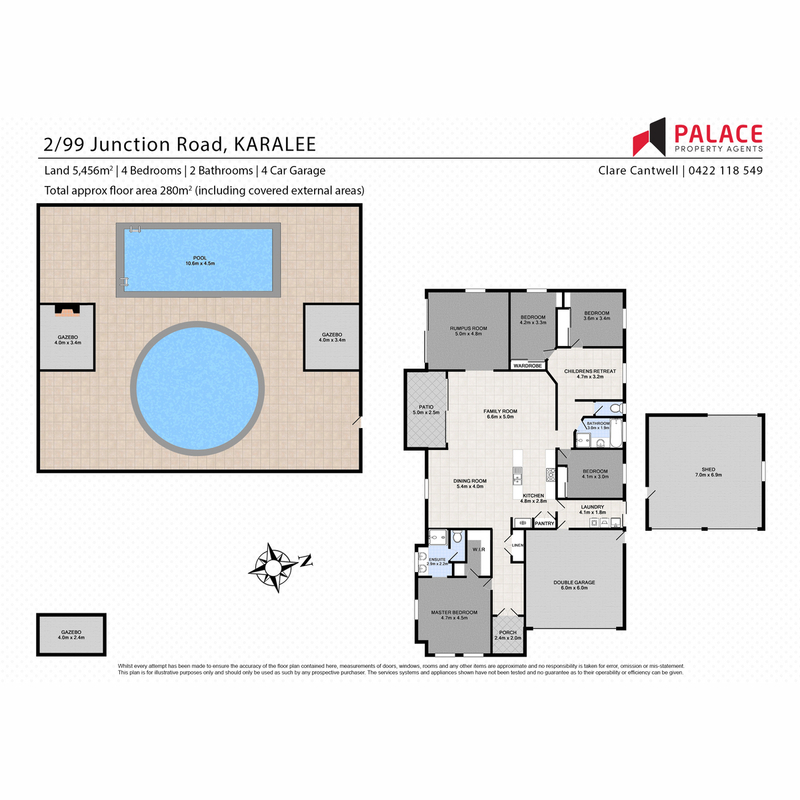 PALACE WELCOMES YOU TO HOUSE NUMBER 2 OF 85 – 109 JUNCTION ROAD KARALEE. 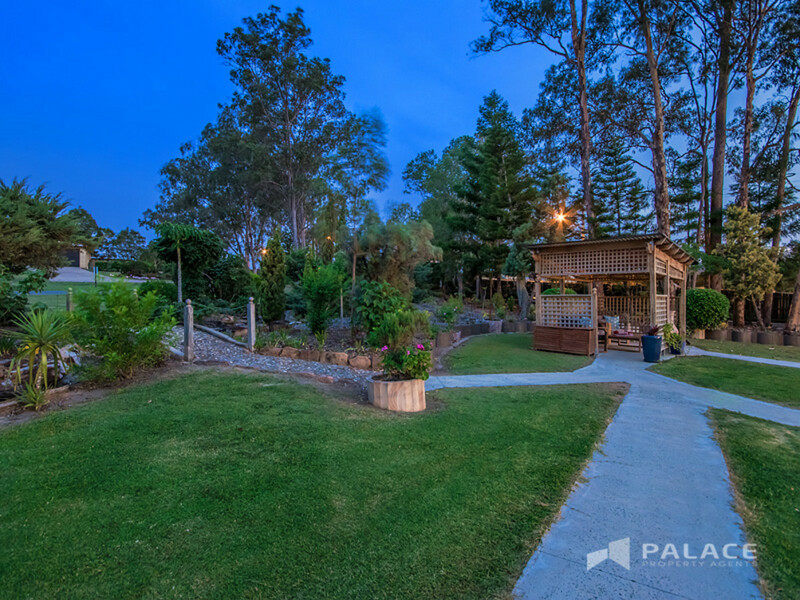 A PRIVATE GATED COMMUNITY – WITH ONLY SIX HOUSES IN TOTAL. 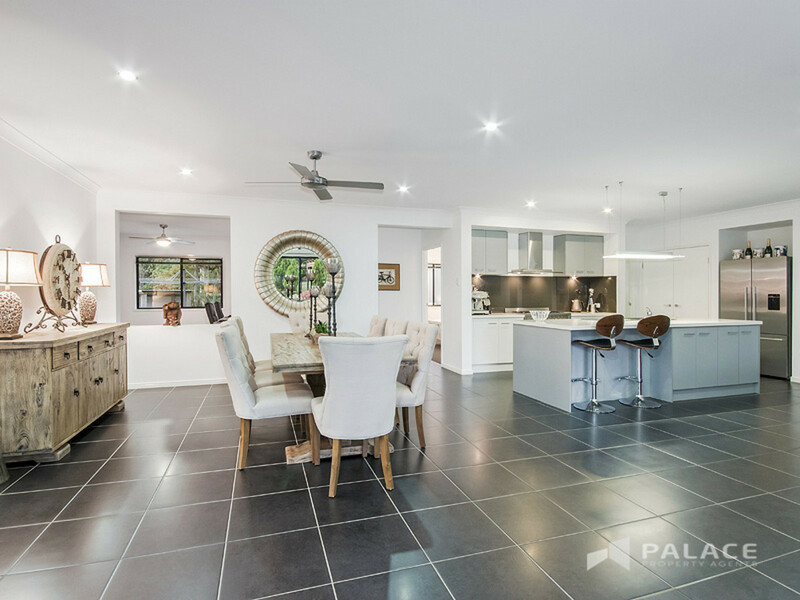 THERE IS JUST SO MUCH TO LOVE ABOUT THIS DESIGNER HOME – WITH EVERYTHING YOU COULD EVER WANT! IF LOCATION IS WHAT YOU ARE AFTER…. 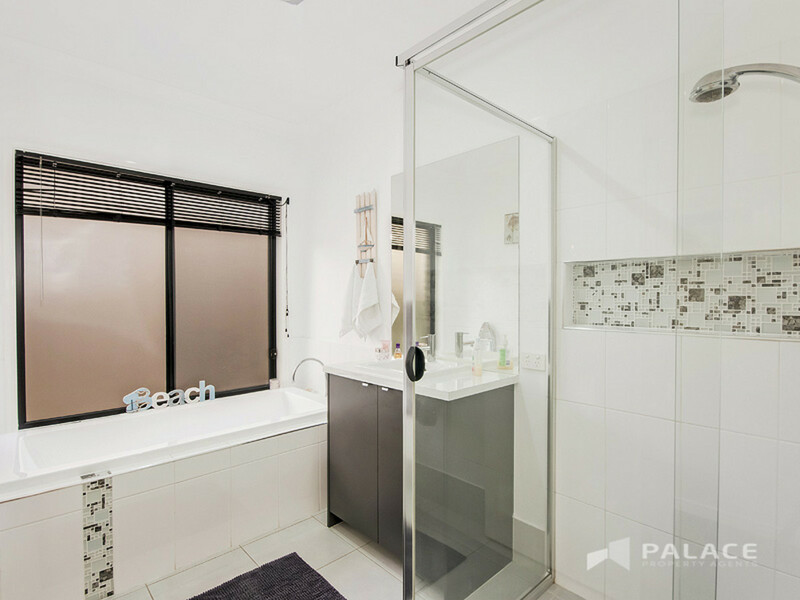 THEN LOOK NO FURTHER AS THIS PROPERTY IS LOCATION, LOCATION, LOCATION!!! 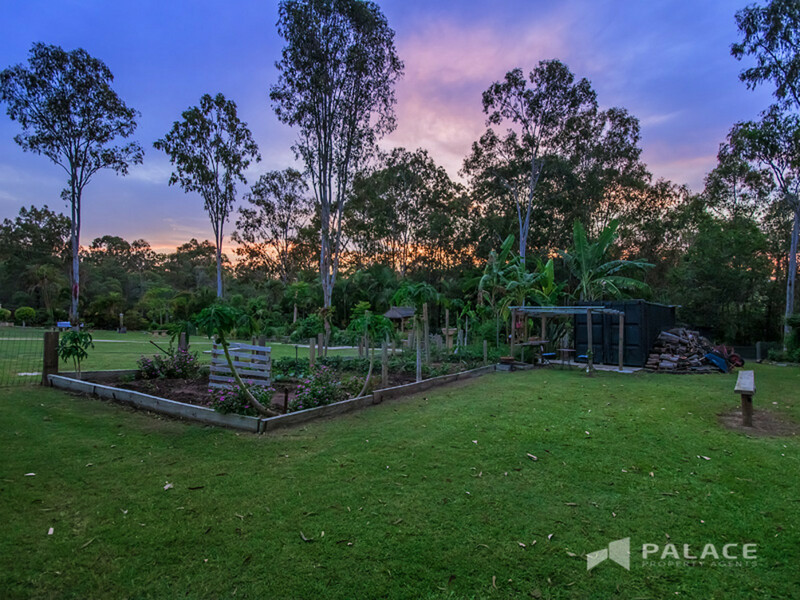 THE VERY BEST LOCATION – WITH ONLY A SHORT 400M WALK TO THE KARALEE TAVERN AND 750M TO THE KARALEE SHOPPING CENTRE – AND YES ITS ON ACREAGE!!! 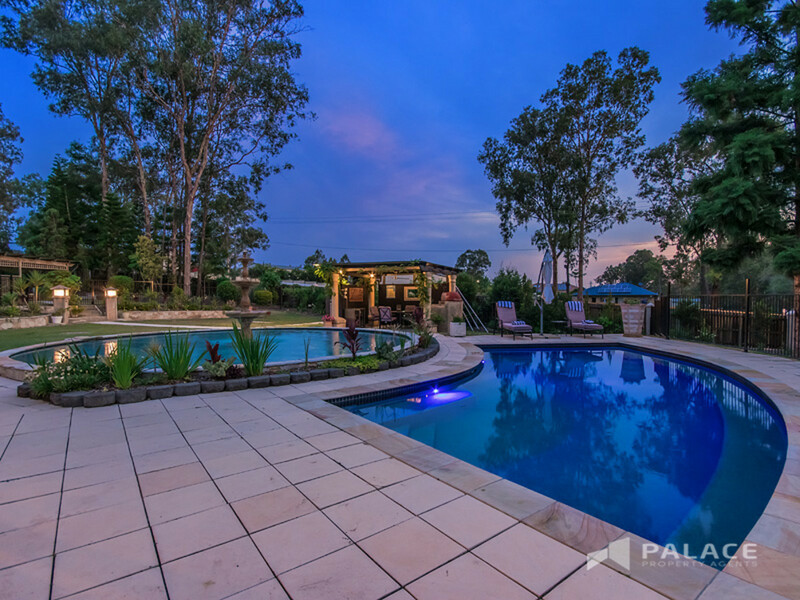 A WHOPPING 5,456M2 OF STUNNING LANDSCAPED GROUNDS, WITH DESIGNER POOL AND FOUNTAIN!! BUT DON’T TAKE OUR WORD FOR IT – COME AND SEE FOR YOURSELF! 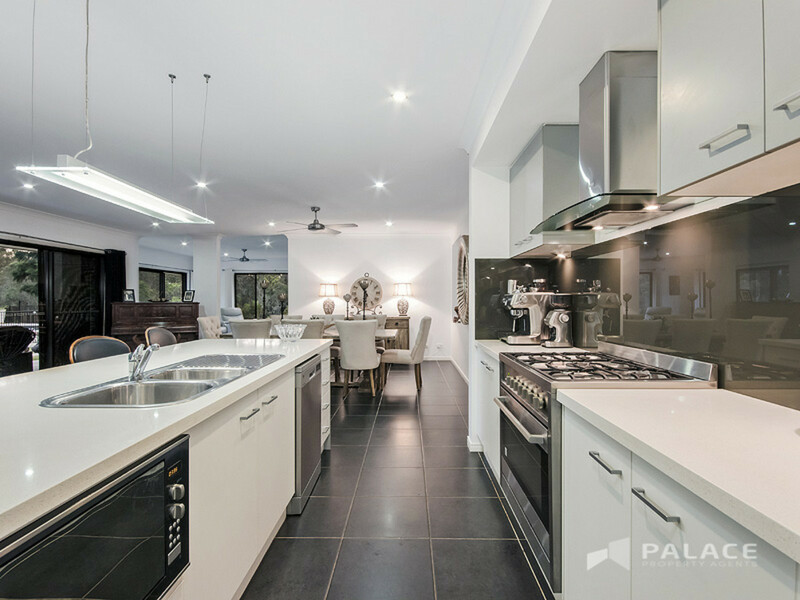 This stunning northeast facing freehold residence sits within a significant precinct of the Karalee real estate market. 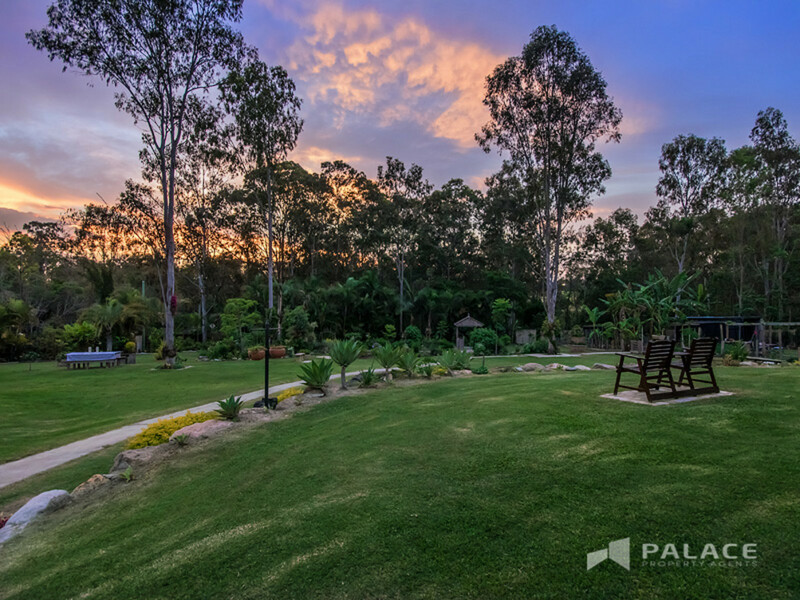 Capitalising on a sensational 5,456m2 parcel of fenced and fully usable land – this sanctuary backs onto natural bushland, capitalising on privacy and position whilst providing the best lifestyle that Karalee has to offer. 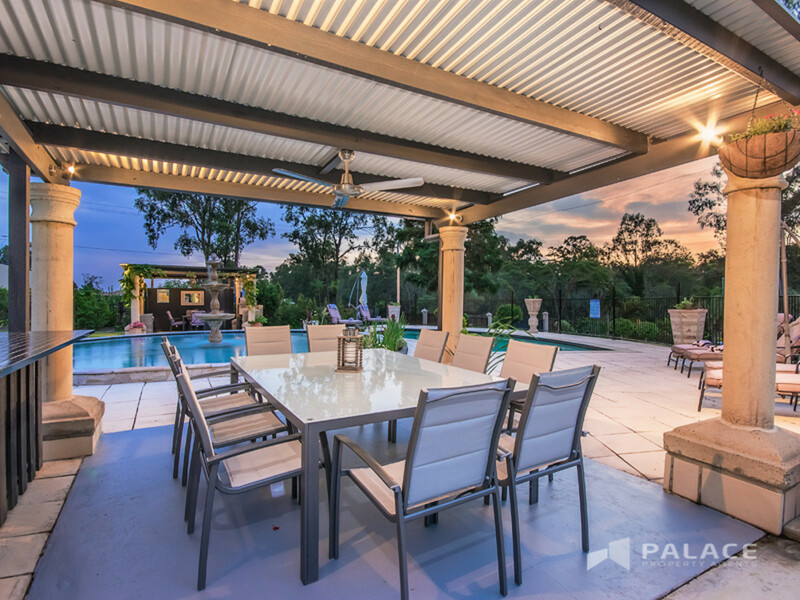 This stunning trophy home has been meticulously designed over one sprawling level to take advantage of all that this lifestyle has to offer with oversized living spaces that maintain the perfect balance between privacy and ease of living. 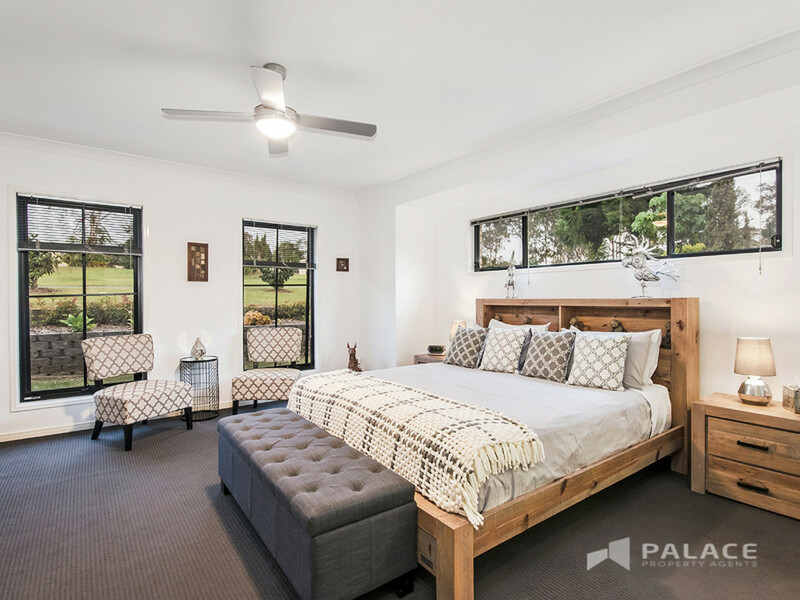 Enjoy designated areas constructed with comfortable family living in mind, accentuated by the use of floor-to-ceiling glass framing the beautiful views of the most picture perfect grounds in the whole area – this property must be seen to be believed! 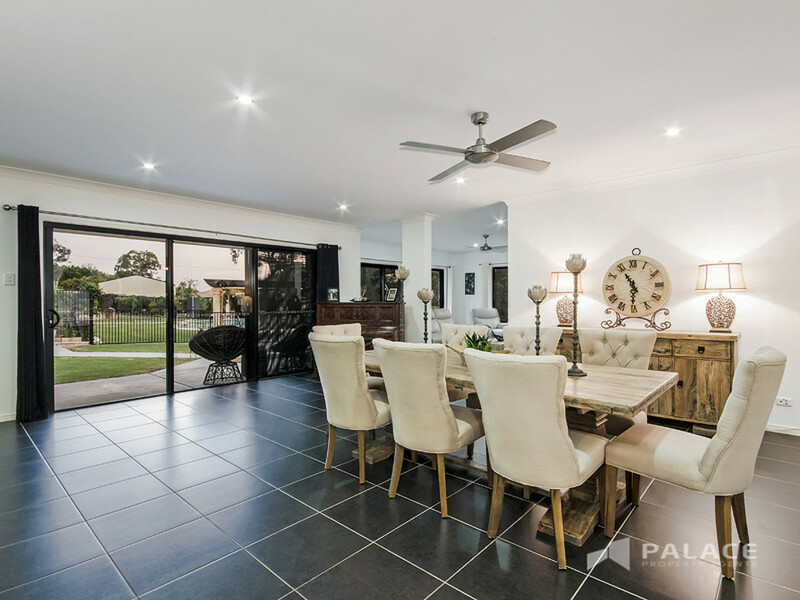 Entertaining all year around is effortless along with quiet family living, thanks to the seamless flow of living and entertaining options – from the huge kitchen and dining area to the outdoor pool terrace and gazebo, we promise you will be spoilt for choices. 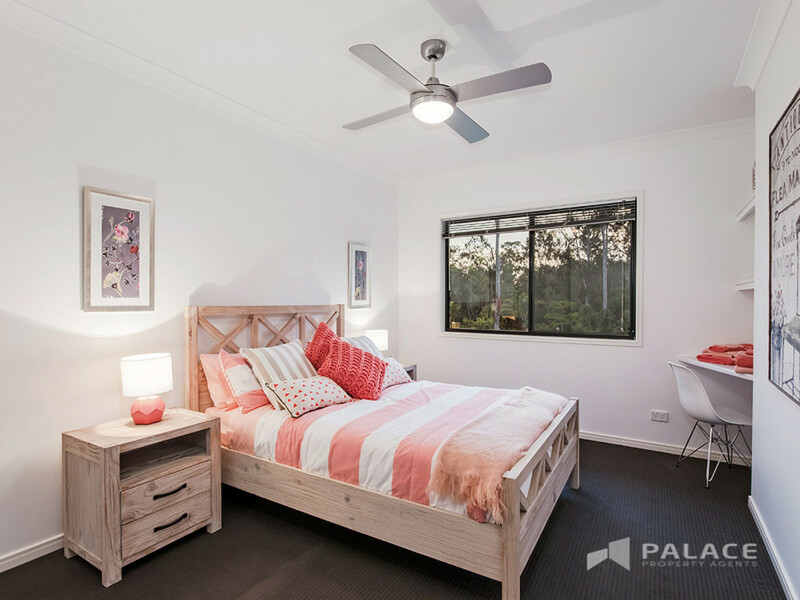 Bringing the outdoors in and vice versa – be ready to be spoilt!! 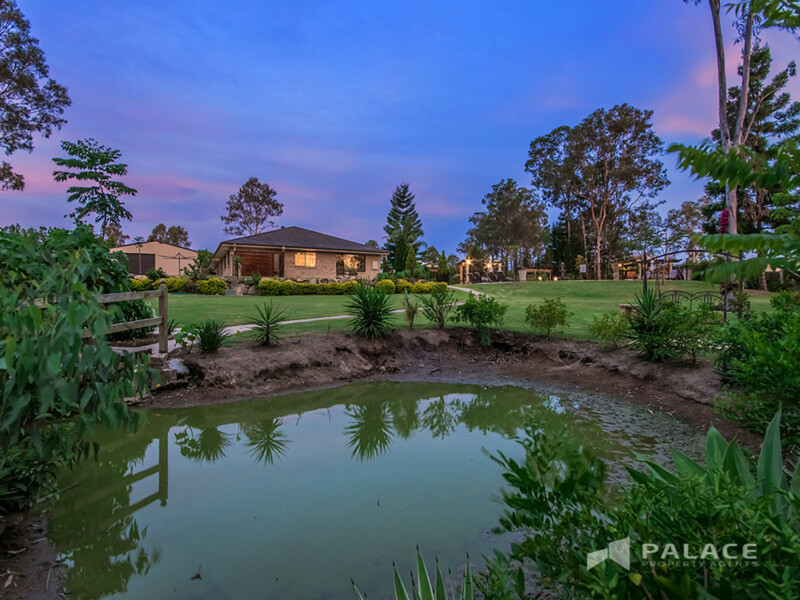 This wonderful property comes complete with four generous bedrooms, which includes a lavish master retreat plus a children’s or guest wing – plus three living areas completed with air-conditioning, a generous amount of down lights, ample storage, a two car lock-up garage plus 7m x 7m shed with workshop. 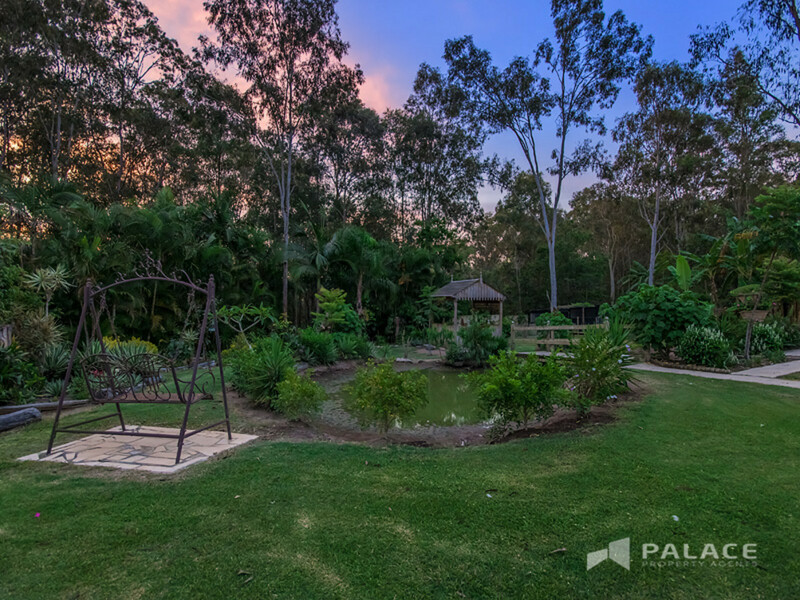 All of this topped off with a designer pool, terrace, gazebo, stunning grounds, tranquil sitting areas dotted around the magical grounds – and not to mention the ornamental ponds, bridges, chicken run, bird aviary and your very own organic garden! 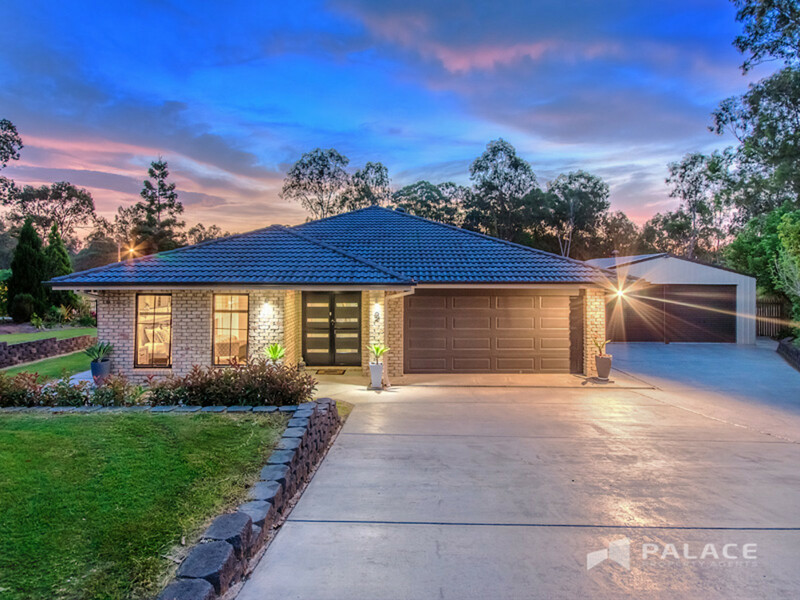 NO expense has been spared when building this home with SO MANY EXTRAS!!! This house is BIG and everything in it is BIG!! So if size matters – have a look at this one!!! PLEASE NOTE THIS PROPERTY WAS NOT AFFECTED BY THE 2011 FLOODS. 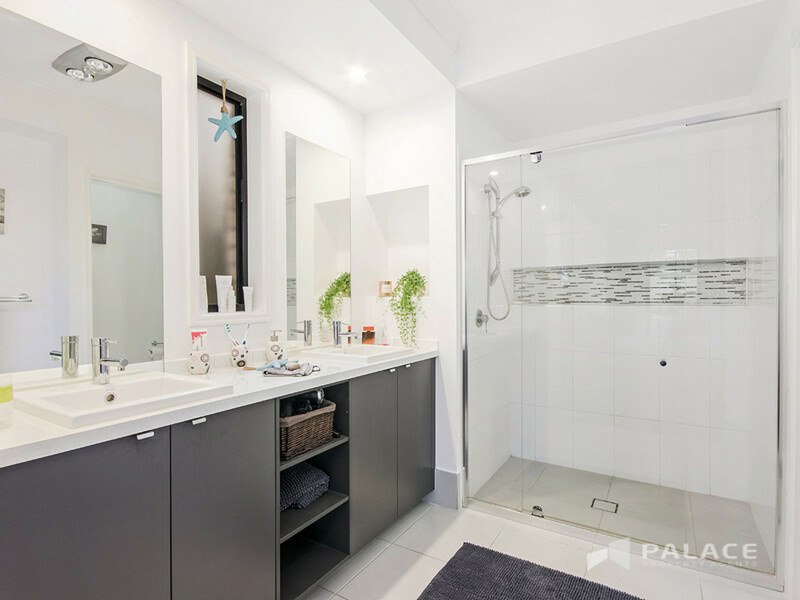 Karalee is a growth suburb with so much on offer – with stage 2 of the Karalee Shopping Centre due for completion in April 2019 which will host a Woolworth’s, Coles and several variety stores. 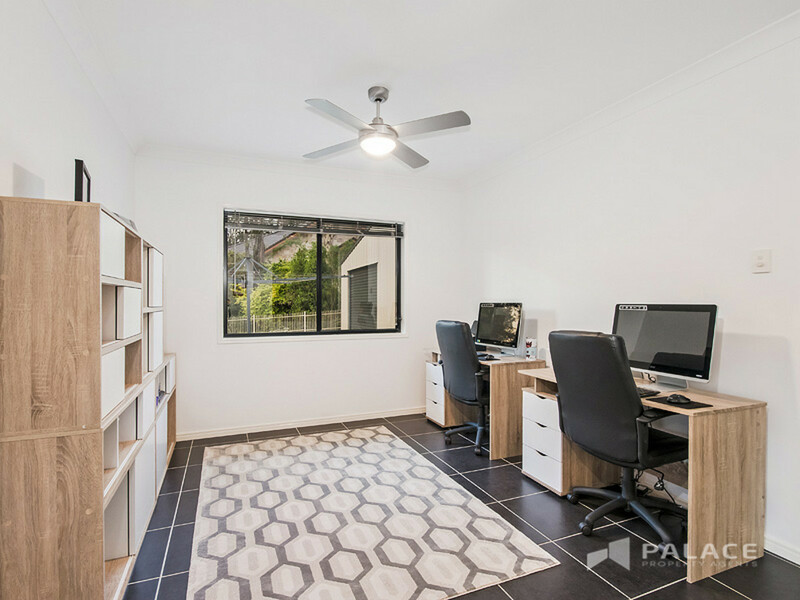 There is only a short drive to the local Karalee State School, Daycare and School Bus for High Schools is located nearby at the Karalee Shopping Centre. 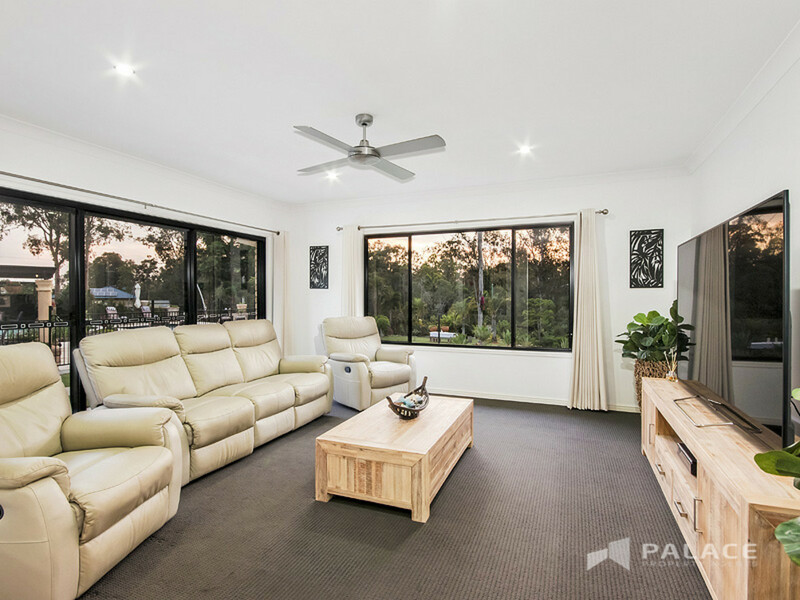 The Dinmore Park and Ride Train Station is only a short 5 minute drive, along with easy access to the Warrego Highway, RAAF Base Amberley and Ipswich CBD only minutes away. 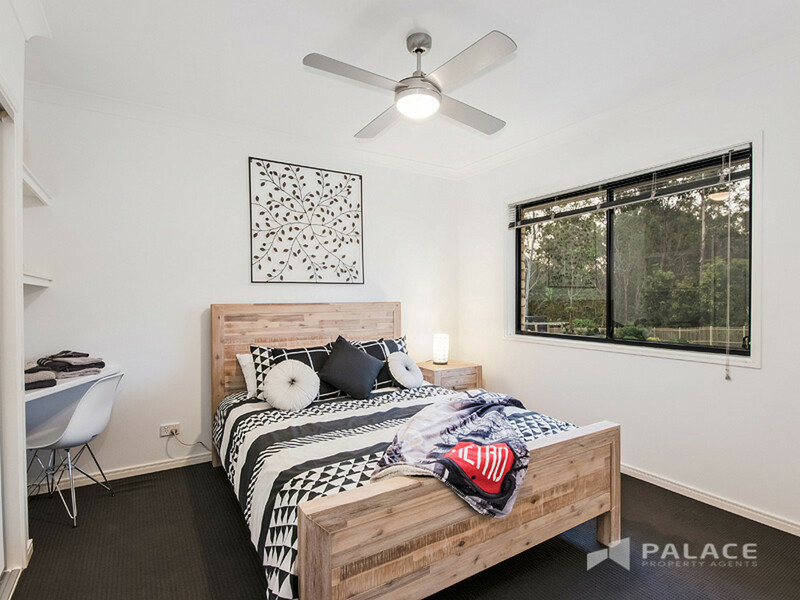 Additionally the Brisbane CBD and Airport is only a short 40 minute commute – meaning that nothing is out of reach! 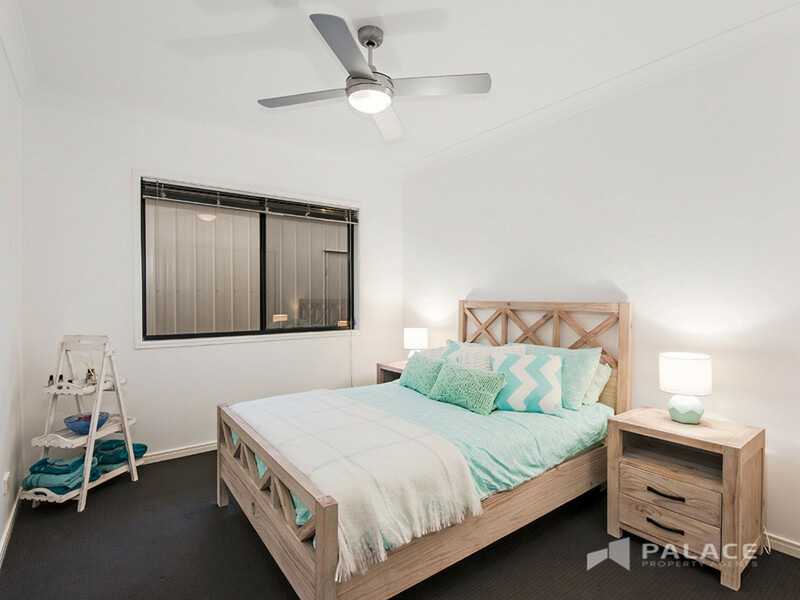 Please contact Terry or Clare Cantwell from Palace Property Agents Karalee & Karana Downs for your welcomed inspection.